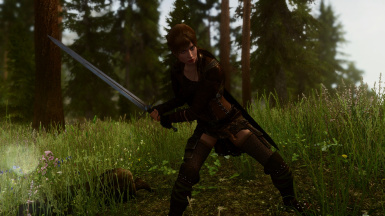 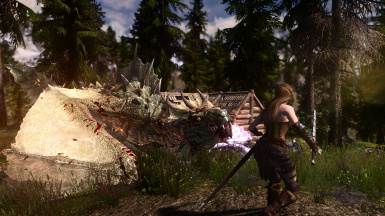 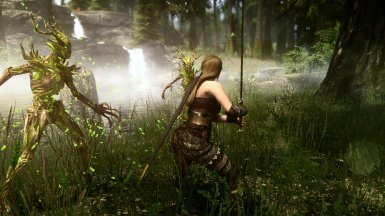 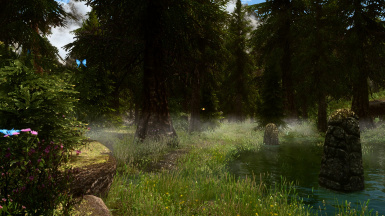 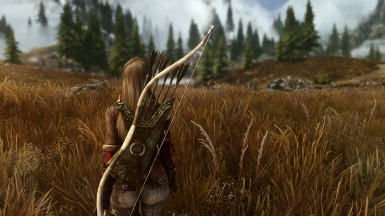 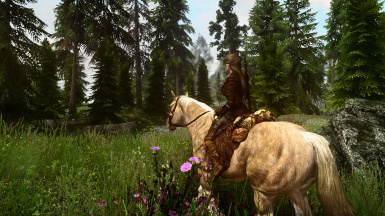 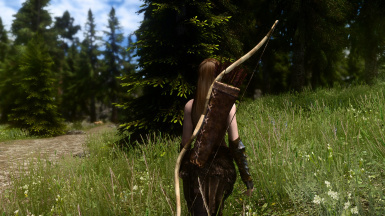 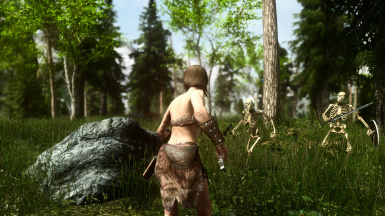 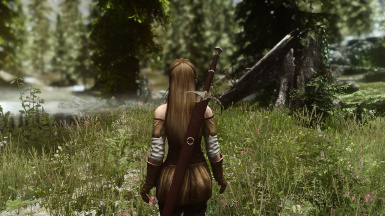 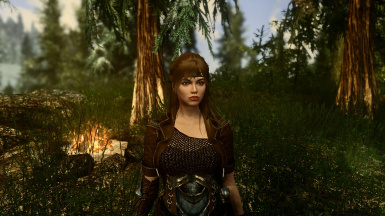 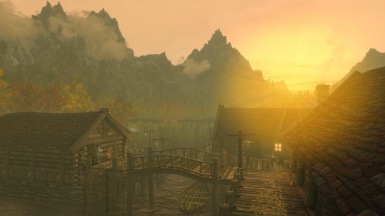 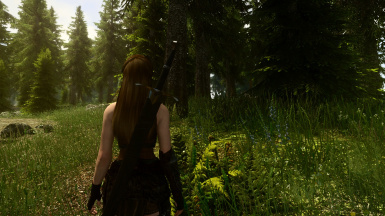 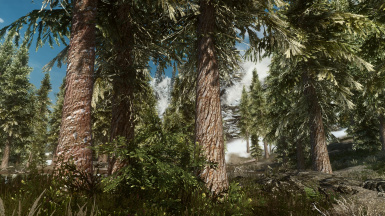 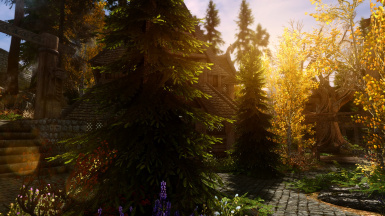 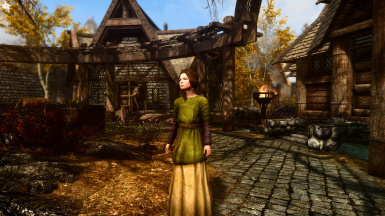 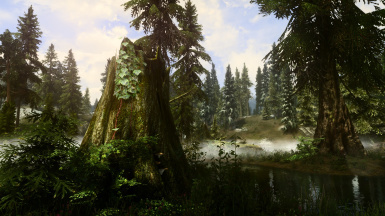 Realistic/Fantasy custom ENB/Reshade presets for use with Vivid Weathers, Climates of Tamriel, NAT, Rustic Weathers, Mythical Ages Weathers and Lighting Overhaul, Dolomite Weathers (NLVA II), Obsidian Weathers and Seasons, Vanilla, Surreal Lighting and Aequinoctium Weathers. 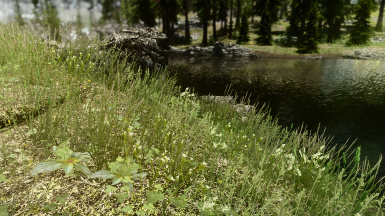 PLEASE: If you downloaded and liked my preset, don't forget to return here and click on "ENDORSE"! 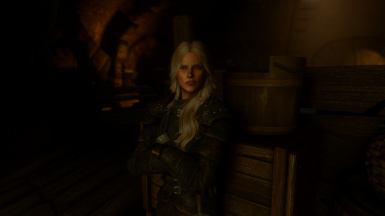 That's my only request to you! 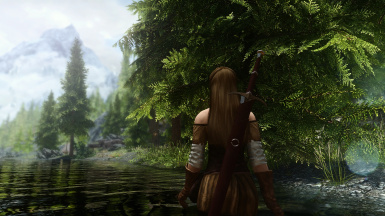 This is the first mod I uploaded on Nexus and I have too much work with it. 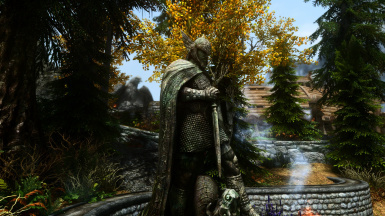 So endorsing my mod you will help me a lot and I will appreciate it so much. 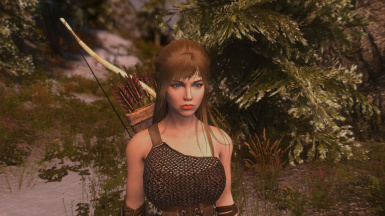 Thank you all!!! 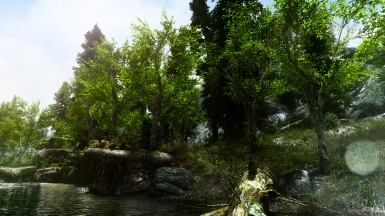 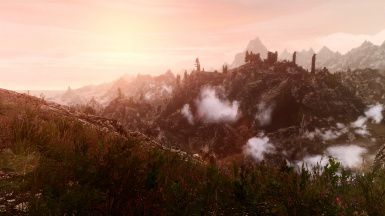 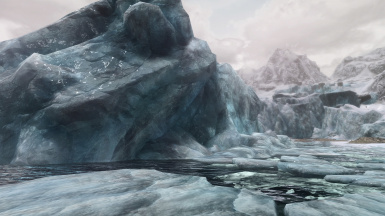 PhoenixVivid is an advanced collection of visual presets for Skyrim Special Edition made with a combination of ENBseries and Reshade Framework settings to give Realistic/Fantasy graphics with highest possible performance. 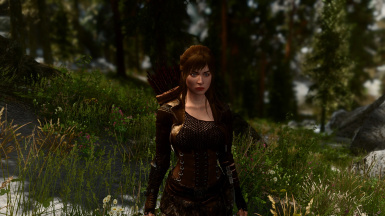 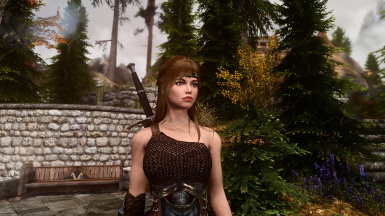 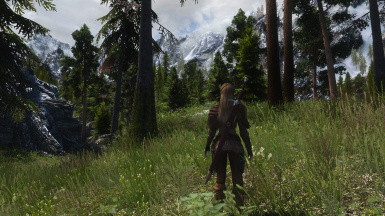 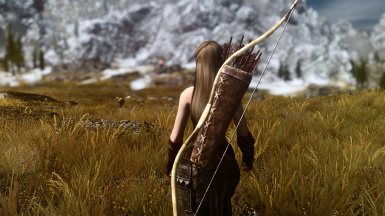 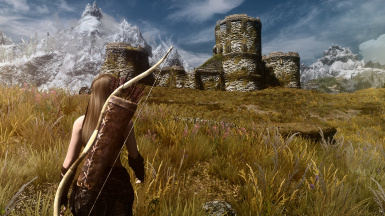 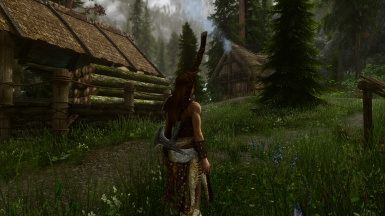 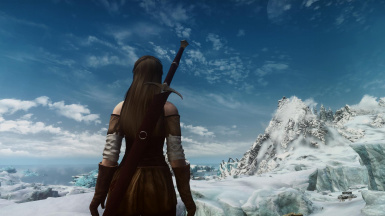 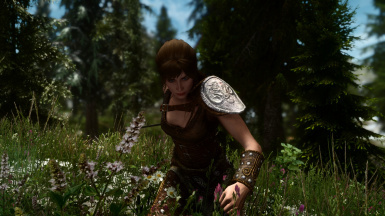 Yes, these presets were built with performance in mind and were inspired in some great ENBs for the Old Skyrim. 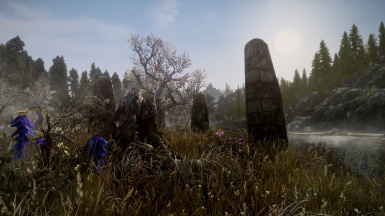 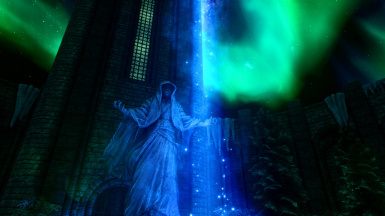 Each one of the versions above is avaiable for the following weather mods: Vivid Weathers by Mangaclub , for Dolomite Weathers (NLVA II) by Megaloblast , for Climates of Tamriel (version 5.7 or later) by jjc71 and Player Tw0, for Surreal Lighting, Mythical Ages - Weathers and Lighting Overhaul , for Rustic Weathers and Lighting, for Aequinoctium - Weathers and Seasons, these four by Arindel , for Natural and Atmospheric Tamriel (NAT) by l00ping, and for Obsidian Weathers and Seasons by Arindel and Megaloblast. 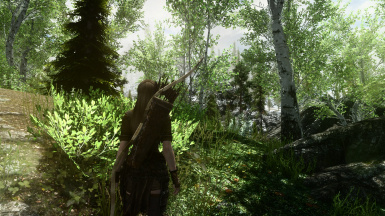 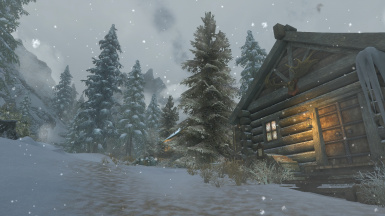 There is also a Vanilla option, If you prefer the original Skyrim SE Weathers and don't want to install a weather mod. 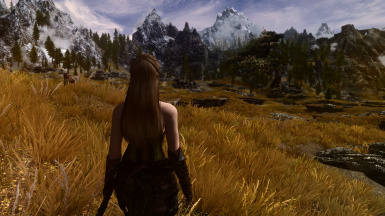 Unless you will use the Vanilla option, you need to install one of the mentioned mods (ONLY ONE) for this preset to look as intended. 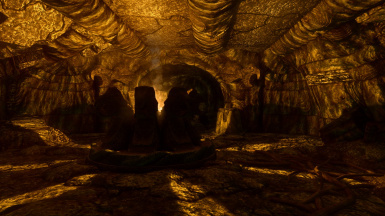 See the videos for each version bellow, and screenshots on the images section of this page (videos and Images for Vanilla, Aequinoctium and Surreal Lighting versions will be avaiable soon). 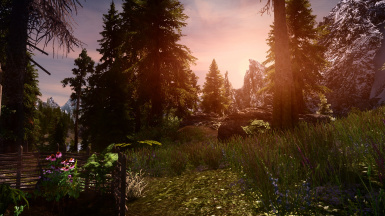 - Climates of Tamriel Preset: Natural look, with mild colors and contrast. 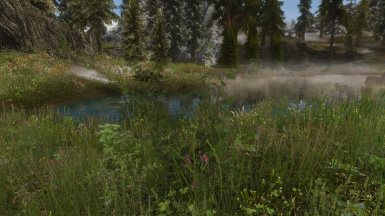 A little bit foggy compared to other presets. 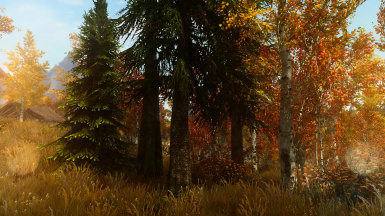 - Dolomite Weathers (NLVA II) Preset: Has strong colors and contrast, clear and crisp look. 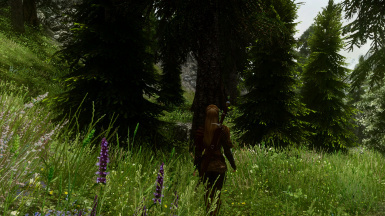 - Vivid Weathers Preset: Its a "midpoint" between Climates of Tamriel and Dolomite Weathers presets. 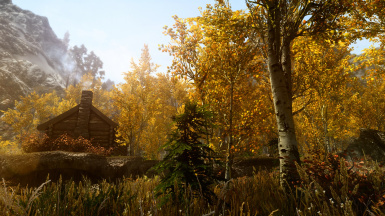 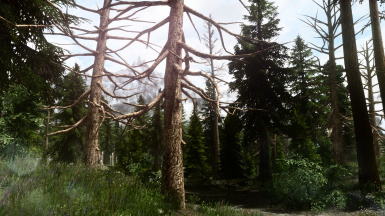 - Rustic Weathers Preset: Visuals similar to Vivid Weathers preset. 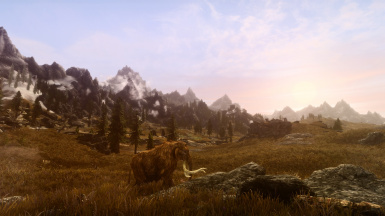 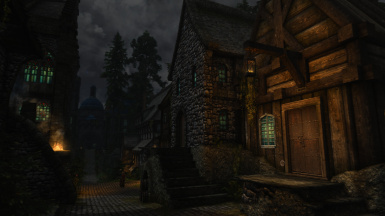 - Mythical Ages Weathers Preset: Mild colors with dense atmosphere, for those that prefer a "somber" style. 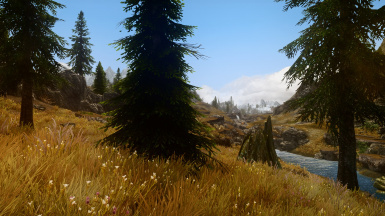 - NAT - Natural and Atmospheric Tamriel Preset: Also crisp and clear visual with vivid colors and moderate contrast. 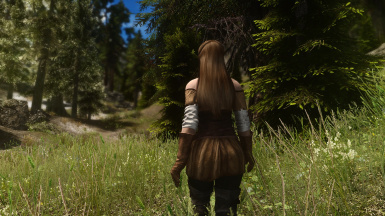 - Obsidian Weathers and Seasons Preset: High contrast with moderate saturation and crisp look. 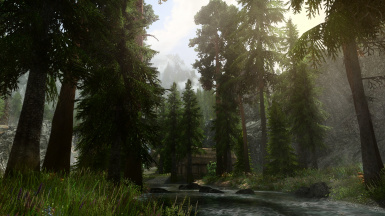 - Aequinoctium Weathers Preset: Similar to Rustic, but more Fantasy style during clear weathers. 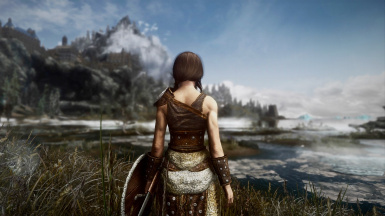 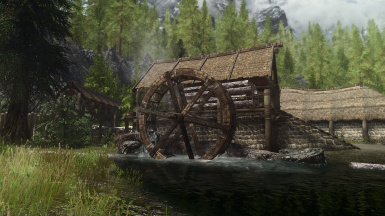 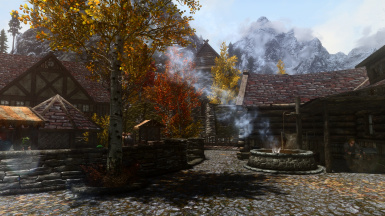 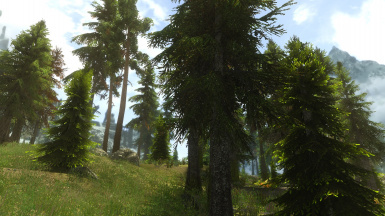 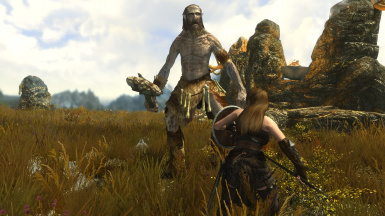 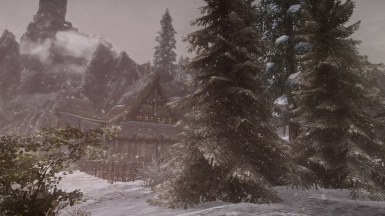 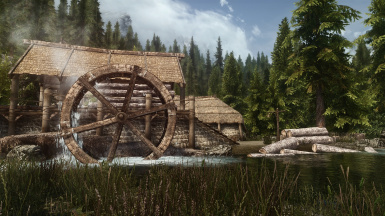 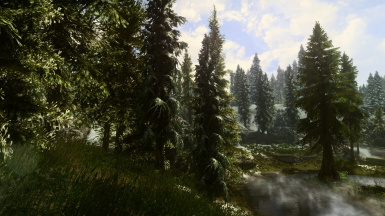 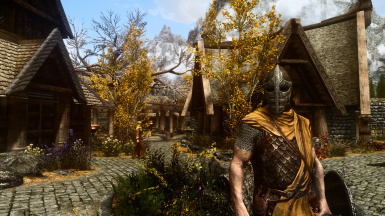 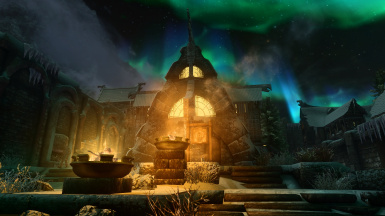 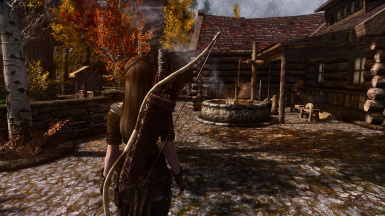 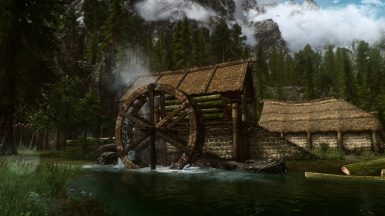 *Dolomite Weathers mod version 1.6 comes with an ini file (Dolomite Weathers.ini) that goes to your Skyrim SE > Data folder after NMM installation (will be in a mod folder inside Mod Organizer2 folder if you use MO2) . 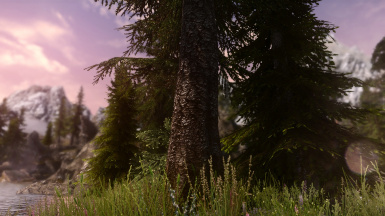 For now I recommend to DELETE this file (unless you want to tweak it). 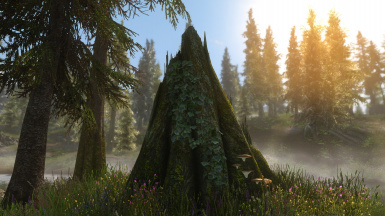 We need only the Dolomite Weathers.esp file. 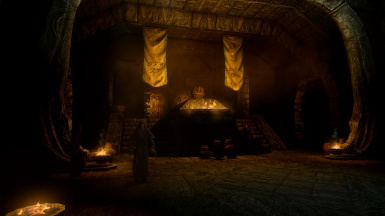 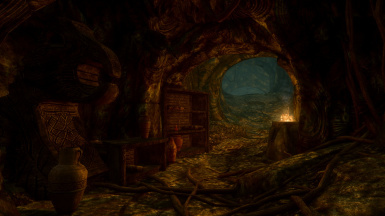 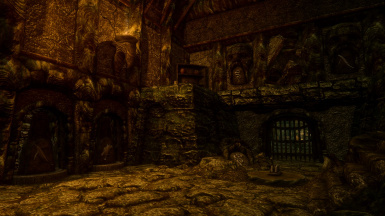 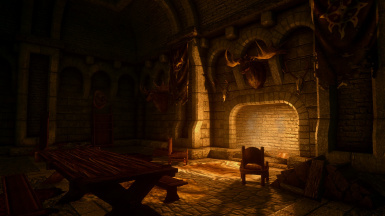 **If you will use Climates of Tamriel, DO NOT install the Dungeons/Caves and Interiors options (leave these on "Default Experience"), and select your favorite night level. 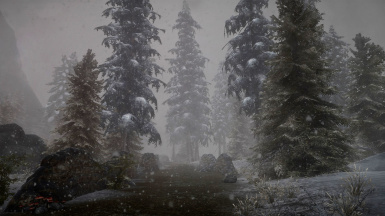 I also recommend the alternative ENB rain texture. 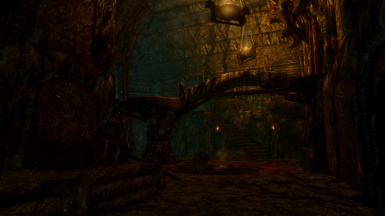 Masser moon texture is optional. 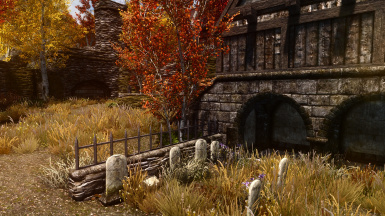 With Climates of Tamriel, you will need to wait about 24 ingame hours in the first load for it works properly. 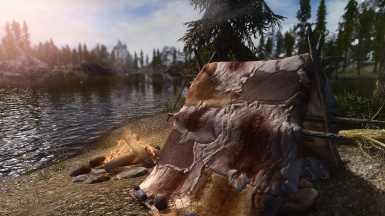 ***NAT users should disable Subsurface Scattering and Extra Skylight in NAT settings, otherwise there will be red borders on skin textures and a blue glow in characters at night. 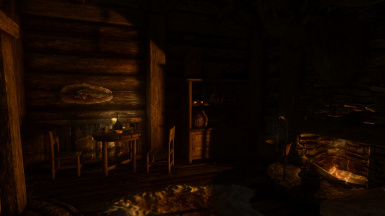 I also recommend to disable NAT interiors if using other interior lighting mod. 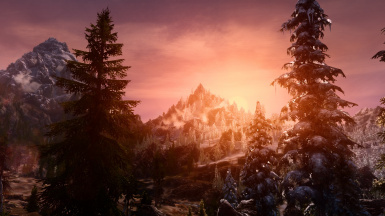 **** Vivid Weathers users: After Vivid Weathers update 2.30, during installation you will have 2 color shader options to choose: The Classic - Special Edition (used in old versions of Vivid Weathers) and the Filmic - Next Generation (introduced in Vivid Weathers Definitive Edition versions). 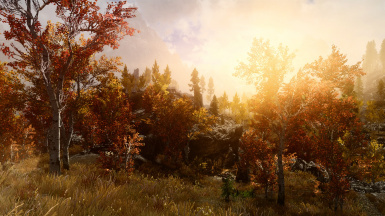 The Classic shader is NOT SUPPORTED by this ENB preset anymore, so choose the Filmic shader during Installation of the new Vivid Weathers version. 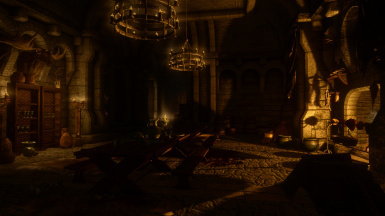 You are free to test the Classic shader, of course, but I have to say that the game will not look as intended (visuals will have disbalanced colors, brightness, contrast, etc). 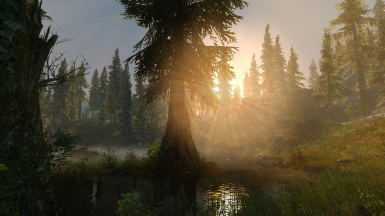 This preset is fully compatible with Realistic Lighting Overhaul , Enhanced Lights and FX , Relighting Skyrim-SSE and Enhanced Lighting for ENB (ELE). 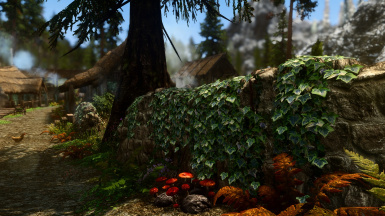 Choose your favorite to install (ONLY Relighting Skyrim-SSE and ELE are compatible each other, otherwise DON'T USE more than one of these mods at same time)! 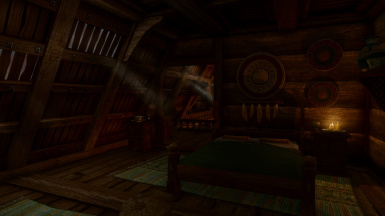 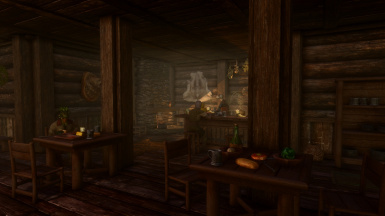 PhoenixVivid has balanced tweaks for interiors and has been exhaustively tested with all of these mods. 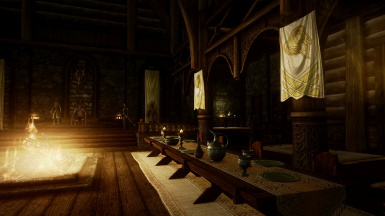 Interiors visuals will depend mostly on which lighting mod you will use, so you can test each one and see which is fine to you. 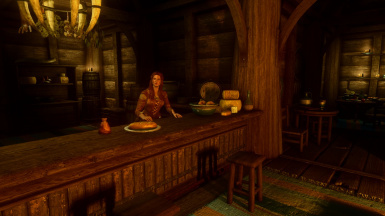 It's a matter of taste. 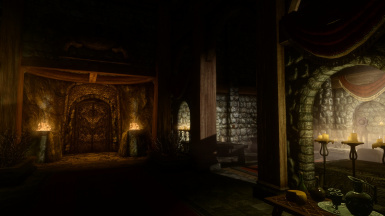 THIS VIDEO﻿ shows a comparison between the most popular Lighting mods avaiable for Skyrim SE, and maybe can help you to choose your favorite. 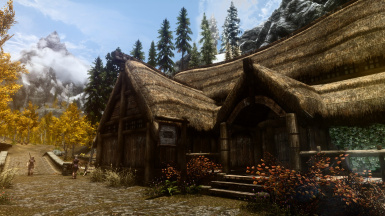 Don't need to use Lighting mods if you prefer Vanilla lighting. 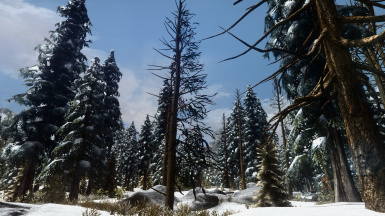 * For Realistic Lighting Overhaul users (Version 4.1.1): DO NOT overwrite any textures from Vivid Weathers (click on "No to All" during installation by NMM) and disable (or delete) RLO Weathers and RLO Dawnguard Weathers .esp plugins. 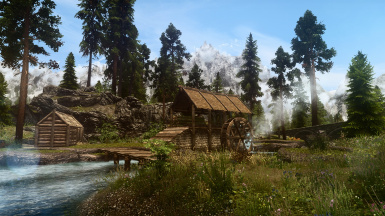 UPDATE: Version 5.0.1+ of RLO does not have weathers option. 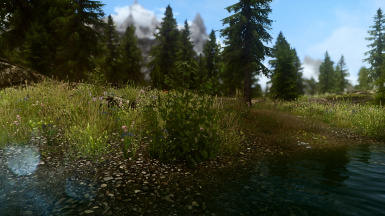 For now I don't recommend to install the Effects option of RLO, because this plugin is causing massive FPS drops in some places. 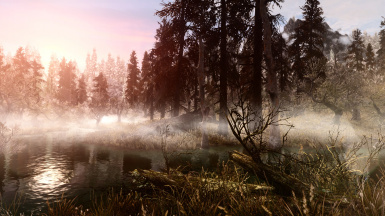 * For Enhanced Lights and FX users: DO NOT install the Weathers option and if using SMIM install the SMIM meshes. Feel free to install or not the other options. 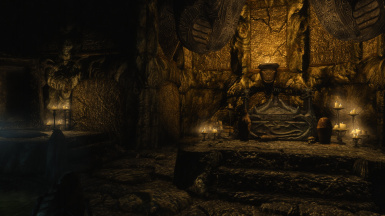 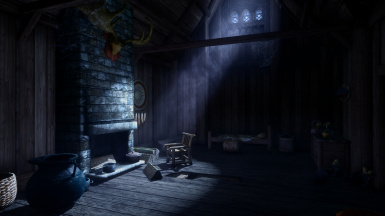 **WARNING: With ELE, ELE + Relighting Skyrim-SSE, RLO or ELFX + Enhancer option the interiors maybe will become too dark for some users tastes. 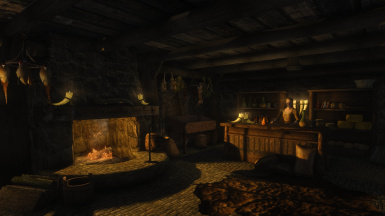 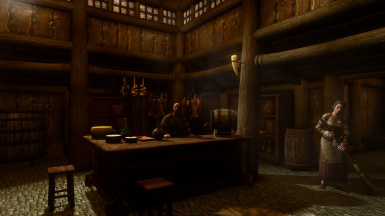 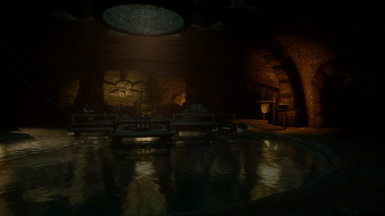 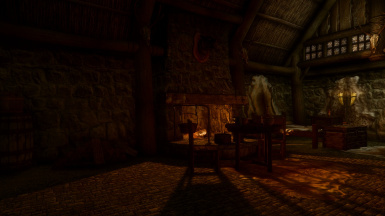 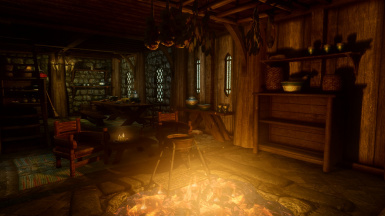 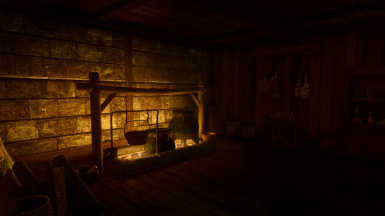 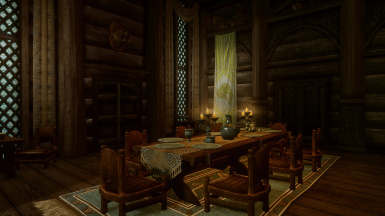 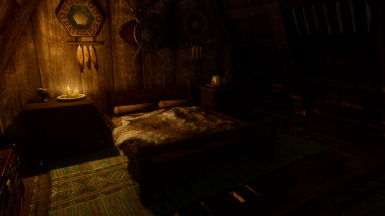 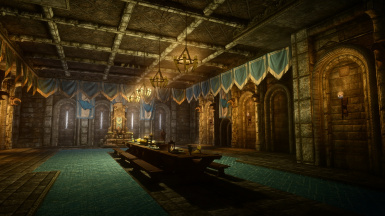 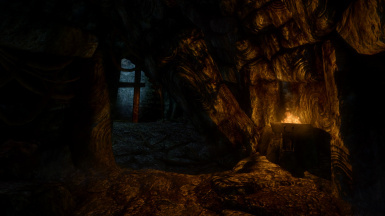 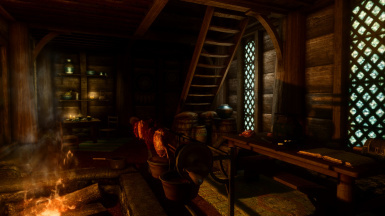 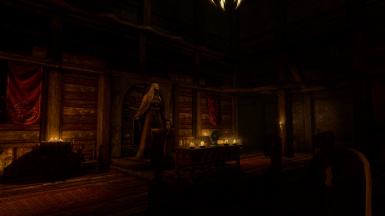 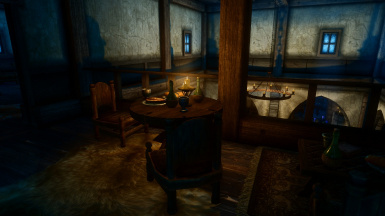 If you don't like darker interiors, you have one of these 3 choices: 1- Do not use lighting mods; 2- Use Relighting Skyrim-SSE alone (without ELE at same time) or 3- Use ELFX without Enhancer option. 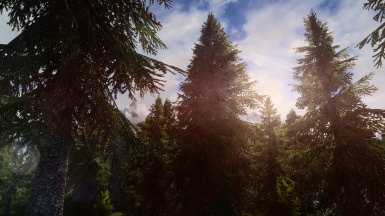 * ATTENTION: If you will use one of the ENB ONLY versions (Quality Version or Performance Version) you can skip the steps 3, 4 and 8 (these versions don't use Reshade). 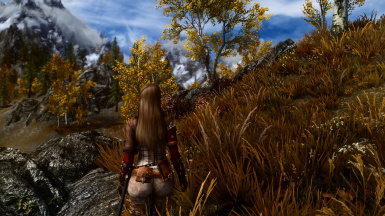 1- In the Game Launcher, choose FXAA instead TAA (TAA can cause artifacts with ENB/Reshade presets ). 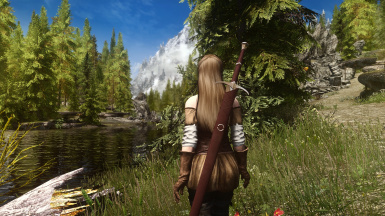 If you will use PhoenixVivid Full version or Quality version, I recommend to disable the Skyrim SE Ambient Occlusion in launcher (ENB already has a much better one). 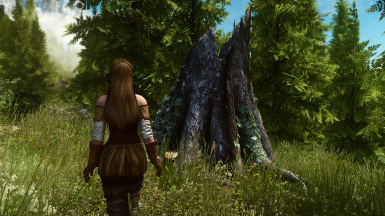 Keep Ambient Occlusion enabled in the launcher options ONLY if you will use the Performance version. 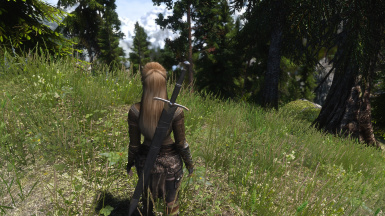 If you don't have some of the [Display] lines above in your Skyrimprefs.ini, you can copy/paste them to somewhere under [Display] in the file. 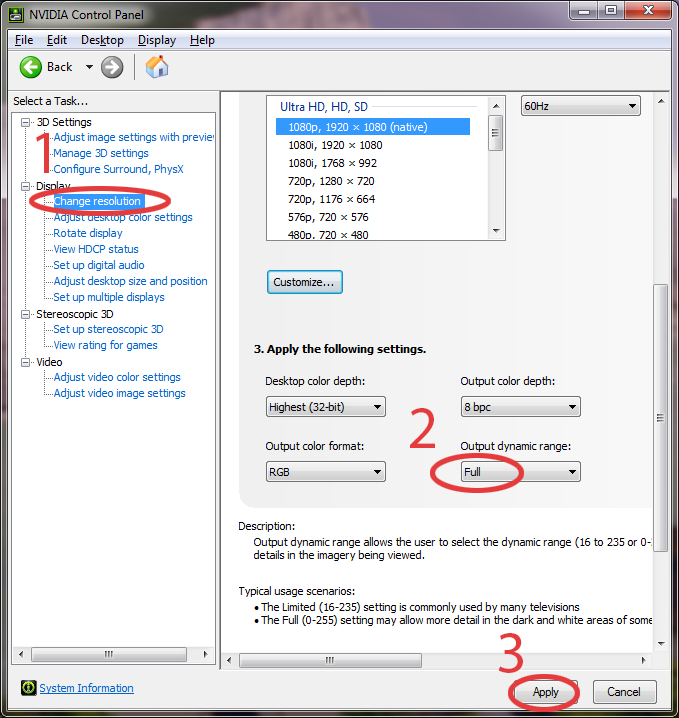 2- ONLY for NVIDIA users: If you are using HDMI conection, Its VERY IMPORTANT to set your Dinamic Range in full, in the graphics card control panel (see this image). 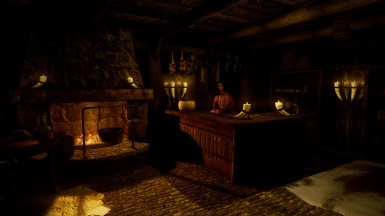 8- Run the game , Shift + F2 to open Reshade menu, click on "continue" and select "Phoenix.ini" in the bar (shown in the picture bellow) , click on Continue > Continue > Finish > close the menu ( if You already had Reshade installed before start these steps, only select Phoenix.ini and close the menu) . 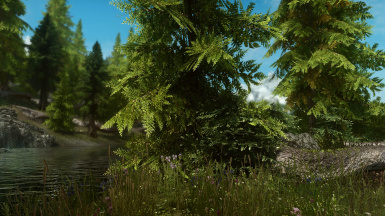 UPDATE: With the new version of Reshade this step is no more necessary. 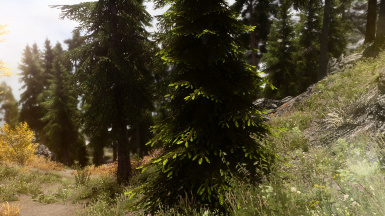 Phoenix.ini file will be loaded automatically, so only open the game and check the visuals. 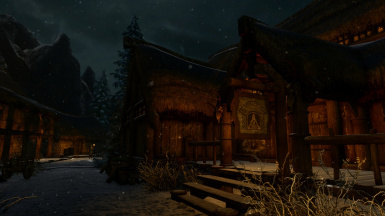 Now "Home" key is used to open Reshade ingame menu, no more shift + F2. 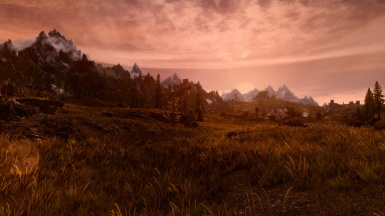 * A IMPORTANT NOTE FOR WINDOWS 10 USERS: After April 2018 Windows 10 update it seems that some users are having problems with Reshade (the game does not launch or the Reshade part of Full preset does not work). 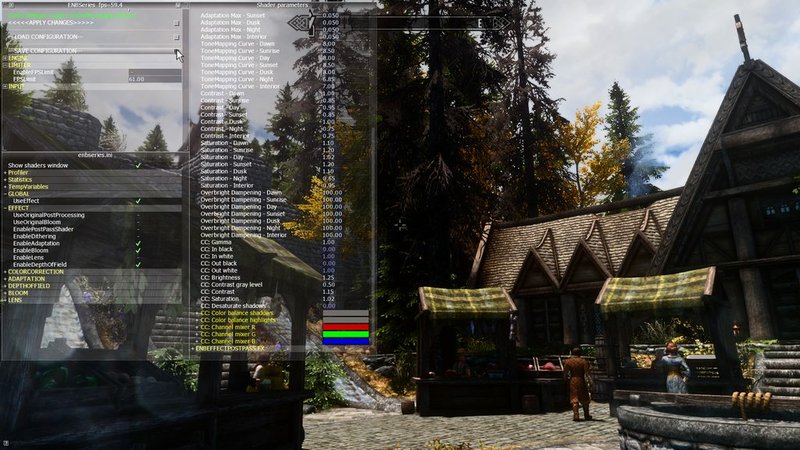 If it is your case try to rename dxgi.dll and dxgi.ini files (inside Skyrim SE folder after Reshade installation) to Reshade64.dll and Reshade64.ini. 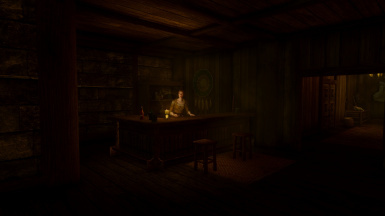 Open the game again and see if now it works.... 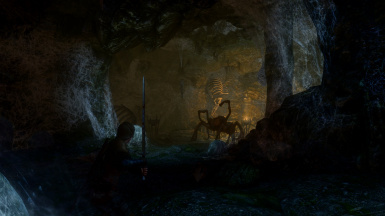 If not see if your antivirus/firewall is blocking one of these files (and/or d3d11.dll file). 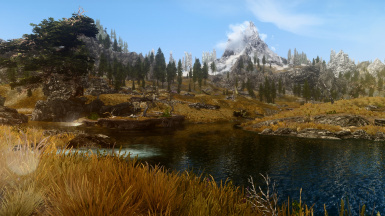 Other thing: Its not recommended to use programs like MSI Afterburner, Rivatuner, EVGA Precision X and similars at same time when running games with ENB/Reshade presets. 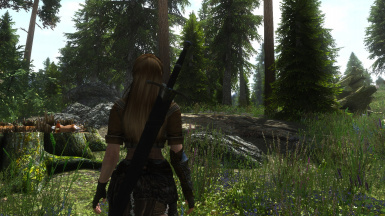 Also be sure of having DirectX End-User Runtimes (June 2010) installed in your PC. 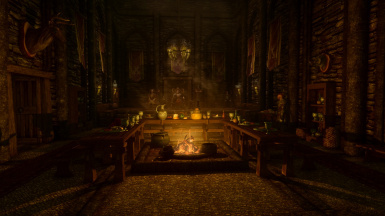 If the problem persists after trying all I mentioned here, consider to install PhoenixVivid Quality Version. 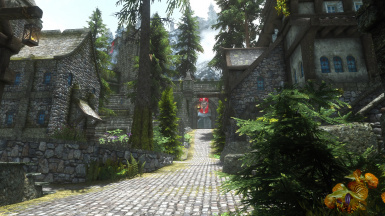 It does not need Reshade installation and even so will give you high level graphics! 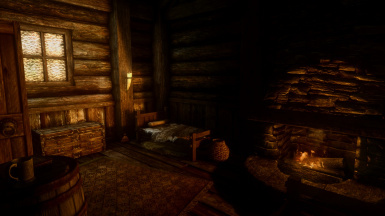 The basic installation finishes here. 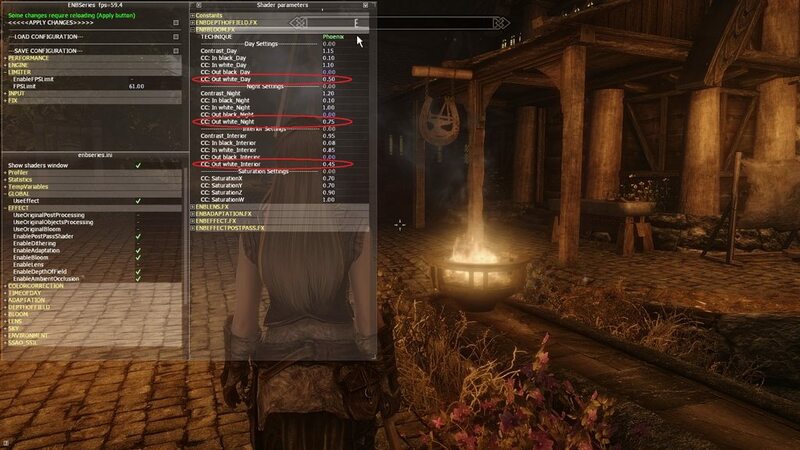 If you want to customize some settings see the options bellow. 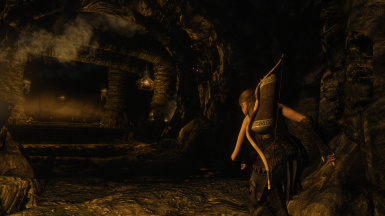 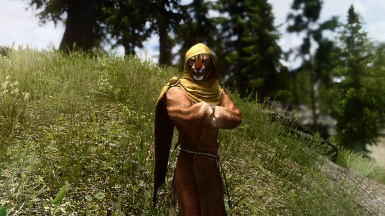 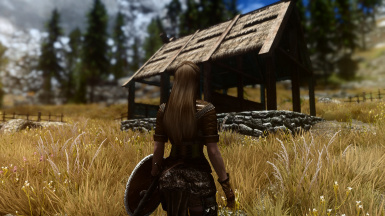 9.1 - Stronger DOF Effect: If you want a stronger depth of field effect, download the Stronger DOF file on the optional section and extract the file to the enbseries folder (which is inside Skyrim SE folder, after basic instalation) and let overwrite the other file. 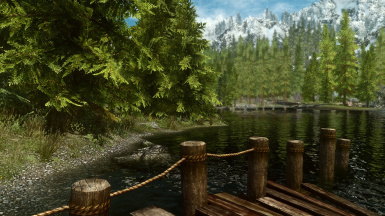 9.2 - FOR ALL USERS: If you want to adjust saturation, brightness and contrast to suit your tastes, no problem! You can do it in ENB GUI (Shift + Enter ingame menu) as shown here and here. 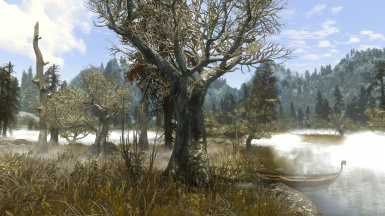 Don't forget to SAVE CONFIGURATION after the changes (check here to see exactly where you need to click). 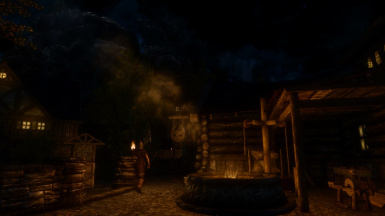 I do not recommend to change the settings for times of day (unless you really know what you are doing). 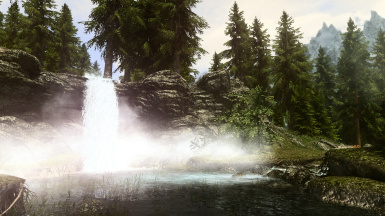 You should prefer to edit the GLOBAL settings at the bottom of ENBEFFECT.FX menu (CC:Contrast , CC:Saturation, CC:Brightness, etc....). 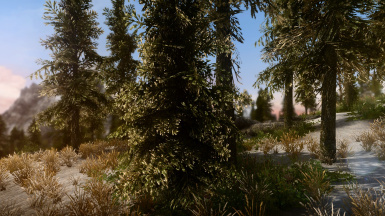 9.3 - FOR ENB + RESHADE FULL VERSION USERS: If you dont like the lens effect in the screen you can disable it in Reshade menu (Home key ) by turning OFF AL lens in ambient light section (here). 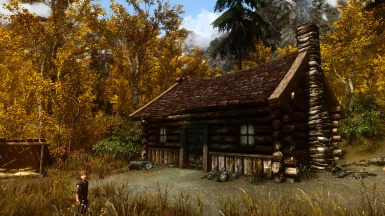 9.4 - LETTERBOX/ GRAIN/ VIGNETTE: These effects are disabled by default, but you can enable each one of them at any time in the ENB GUI > ENBEFFECTPOSTPASS.FX, as shown here. 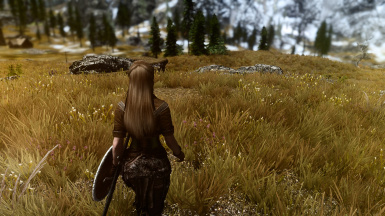 You can also adjust the black bars size, grain/vignette intensity and sharp amount in this same menu. 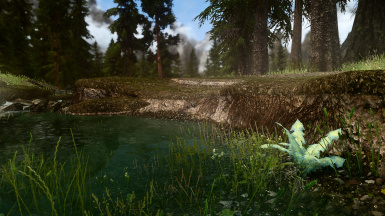 Don't forget to click on SAVE CONFIGURATION if you want to keep these changes. 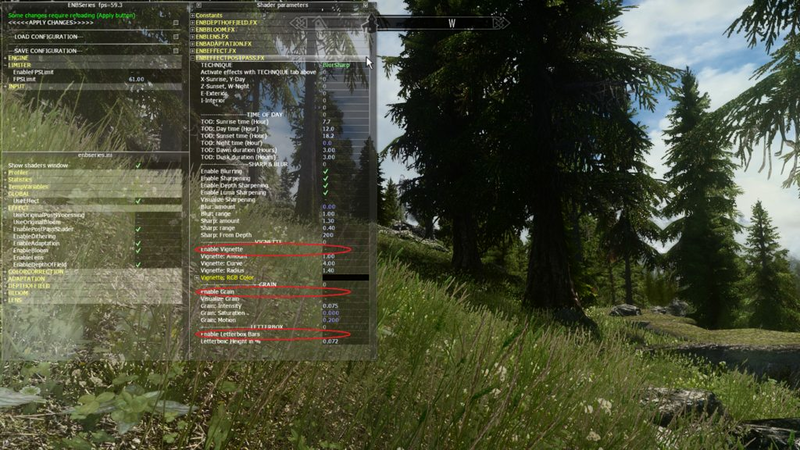 9.5 - FOR NAT USERS: Night brightness level can be adjusted in NAT menu (which can be launched by a NAT alteration spell, see Magic menu in the game). 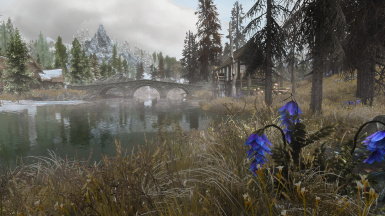 9.6 - BLOOM ADJUSTMENTS: If you want to adjust the intensity of the ENB Bloom effect for Day , Nights and/or Interiors you can open the ENB menu (Shift + Enter) > go to ENBBLOOM.FX on the right window reduce or increase the marked values, shown in this image. 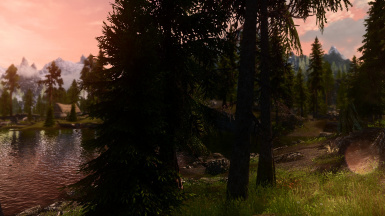 Click on SAVE CONFIGURATION on left window to keep the changes. 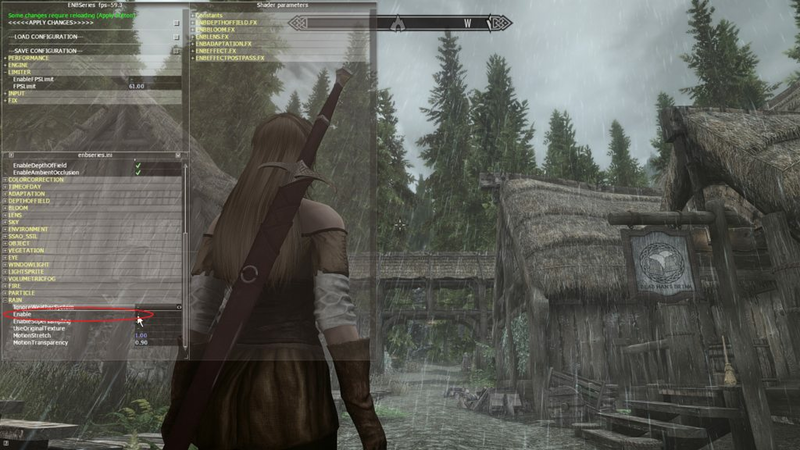 9.7 - ENB RAIN REPLACEMENT: This feature is disabled by default, but if you want to try it open ENB menu (shift + Enter) > on the bottom of left window click on "RAIN" > check the line "enable" ( the green mark will appear) and click on SAVE CONFIGURATION on the top of same window if you want to keep this change. 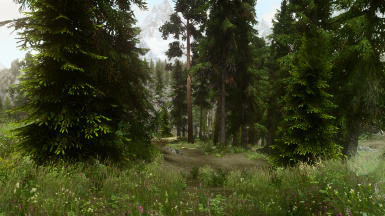 In this image you can see where you need to click to enable the ENB rain replacement. 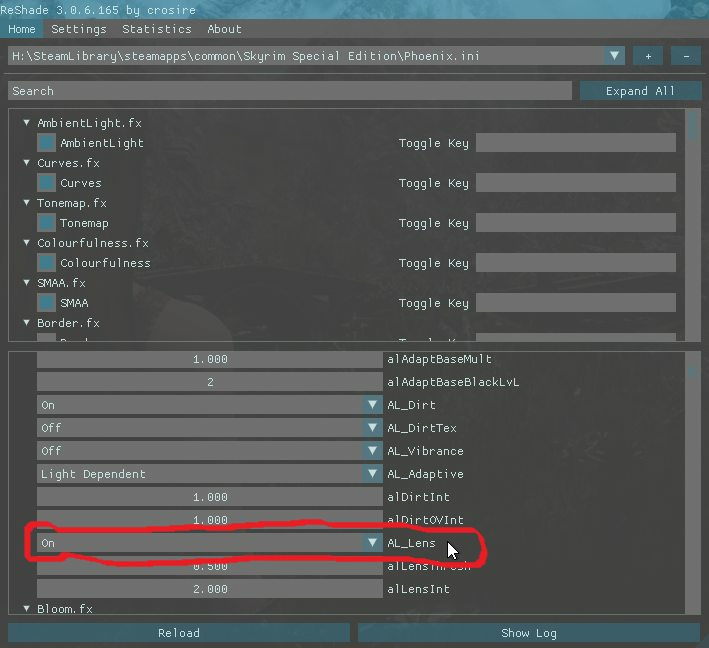 9.8 - PROCEDURAL SUN: If you want to adjust size, Edge softness and glow intensity, you can do it in PROCEDURAL SUN section, according your preferences ( see this image﻿ , don't need to touch in anything outside the red rectangle), and after click on SAVE CONFIGURATON above to save the changes. 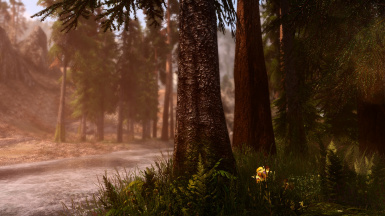 **IMPORTANT: If after the installation your visuals are VERY different from my screenshots so, you did some mistake during installation or you also need to adjust colors, contrast , brightness , hue, etc. 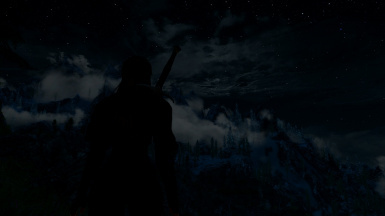 in your monitor. 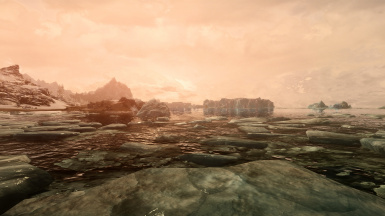 Leftovers files from other presets or 2+ weather/lighting mods at same time can cause issues (exception: Relighting Skyrim SE + ELE). 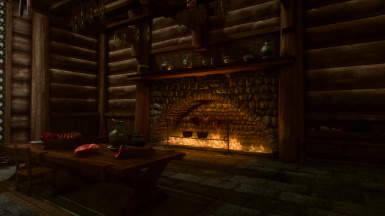 If using Climates of Tamriel Version, don't forget to wait 24 hours ingame if it is the first time you are loading COT + PhoenixVivid. 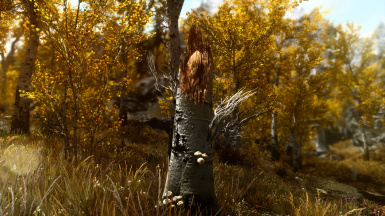 **Reshade files can conflict with SSE Plugin Loader mod dxgi.dll. 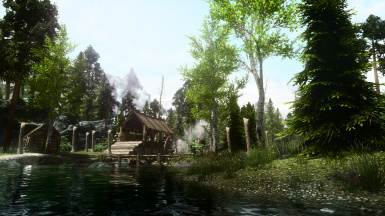 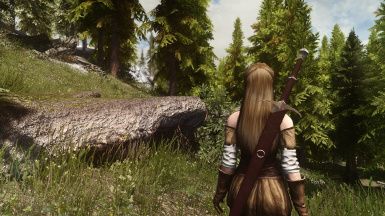 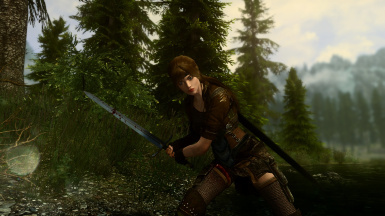 If you really want to use this mod (personally I don't recommend) you will need to try to rename the Reshade 3 dxgi files (to something like dxgi_.dll, dxgi_.ini and dxgi_.txt) or install one of my ENB ONLY versions. 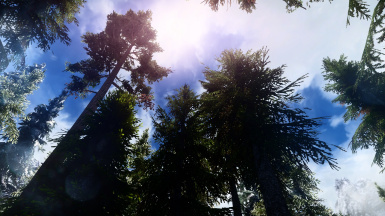 ENJOY AND PLEASE CLICK ON "ENDORSE" IF YOU LIKE THE PRESET! 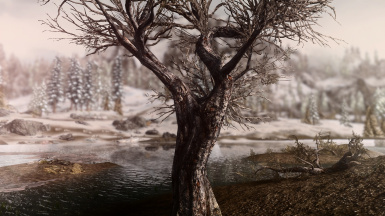 - For the Full version delete: enbseries folder ; Reshade - Shaders folder ; d3d11.dll ; d3dcompiler_46e.dll ; enblocal.ini ; enbseries.ini ; Phoenix.ini, Reshade.ini and the 2 dxgi files. 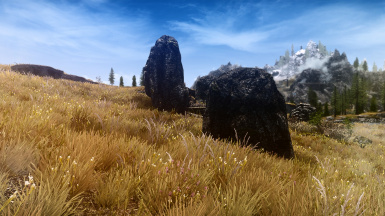 *** Reshade.ini file was introduced in Reshade version 3.4.1. 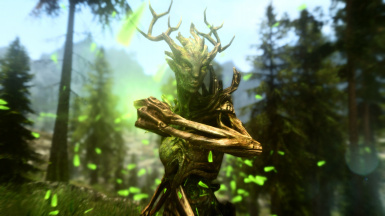 If using previous versions you do not have it but you will have another dxgi file to delete instead: dxgi.ini. 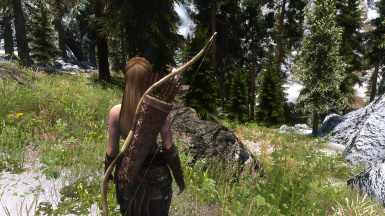 - For Quality or Performance versions you need to delete only enbseries folder , enblocal.ini, d3d11.dll ; d3dcompiler_46e.dll and enbseries.ini). 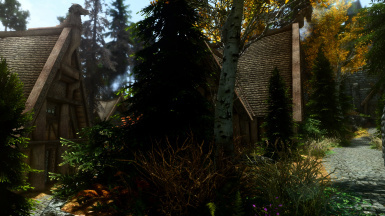 IMPORTANT: Before update to a new version of this preset please uninstall the previous one!